Plogging is a portmanteau of jogging and the Swedish phrase "plocka upp," meaning pick up, and the premise is as simple as its name suggests. Rather than racing past the rubbish strewn along their route, ploggers pick it up to be disposed of properly, and if they're feeling ambitious, try to squeeze in a few exercises in between pieces of trash as they fill up their bags. She regularly posts selfies of her smiling brightly alongside some of the strange debris she has come across during her daily runs, including a leather belt, a children's toy, and ironically, a dustpan. "It just seemed like the perfect combination of kind of making a small change while doing something I'm already doing on a daily basis," said Knight. "These ocean issues that I face as I work every day as a marine biologist can be incredibly daunting, but feeling like there's just 10 minutes of work to do ... can make it fairly digestible and manageable to feel like you're making a difference." 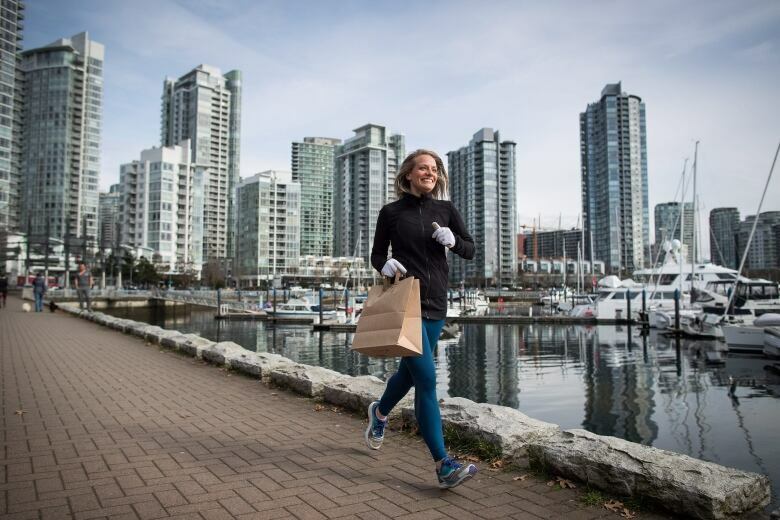 Knight said she never fails to fill up the paper bag she totes as she runs along Vancouver's seawall trying to picking up trash before it finds its way into the stomachs of marine animals. "It's a little endless," she said. "I could continue doing this forever. Everywhere I walk, I could be plogging, and that's of course impossible." "Getting groups to come out, get a good workout in with me and clean up the community a little bit, might help other people just to come out and enjoy the fun," he said. "It's a win-win in my book." Heidi Sinclair, a 32-year-old day-home provider in Calgary, said she has a stable of little helpers in the form her two children and the tots she looks after as she tries to pick up litter in the city's northwest end. Sinclair said she'll often turn it into a game for the youngsters, challenging them to race from one piece of trash to the next or search for items on a scavenger hunt. "You need to set an example. It starts with our kids," she said. "Getting fresh air, fitness and care for Mother Nature and their environment ... I think it's so important to teach your children these things." 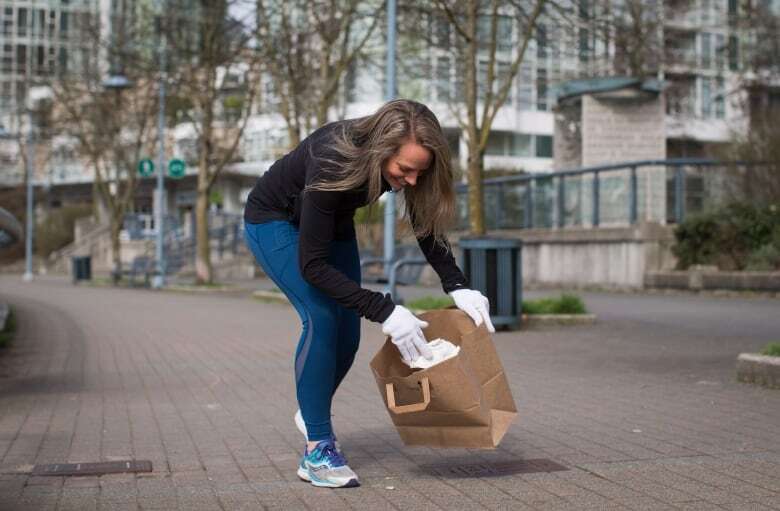 "What I really would love to see is that this movement catches on and that everyone is doing it, and I think the more you see it, and the more you clean ... there's no way you're going to put garbage back on the ground," she said. "If this picks up, maybe I'll find other ploggers when I'm running and we'll high five."